N.E. corner of Broad Street and Fort Street. 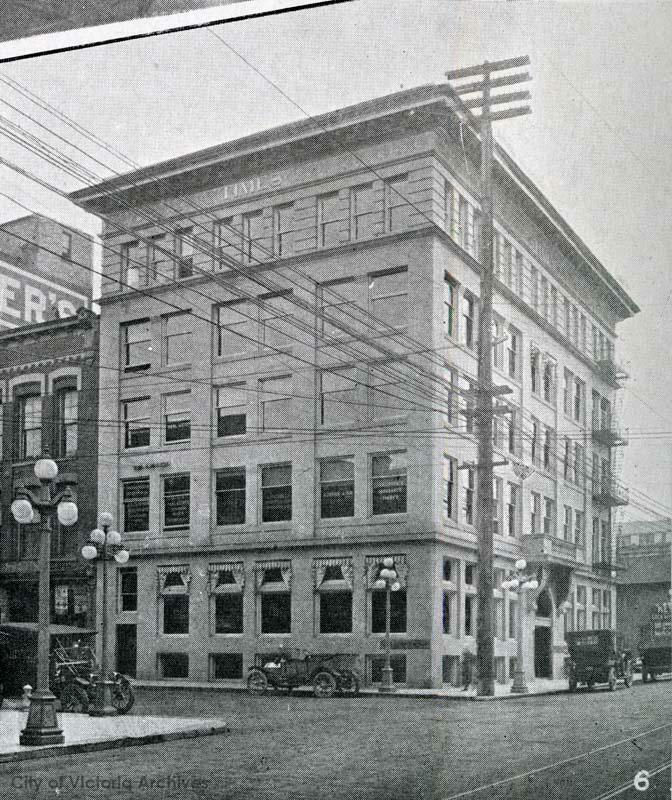 From "British Columbia : it's history, people, commerce, industries and resources", L0496, page 460.